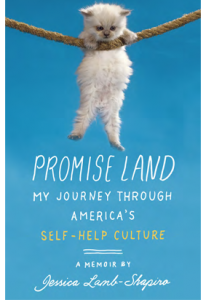 Jessica Lamb Shapiro’s witty, sharp look at the $1 billion self-help industry in America, “Promise Land,” will be published in January by Simon & Schuster. Self-help has been around for thousands of years, and it has been loved and hated for just as long. The earliest progenitor of self-help books was an Ancient Egyptian genre called “Sebayt,” an instructional literature on life (“Sebayt” means “teaching”). A letter of advice from father to son, The Maxims of Ptahotep, written circa 2800 B.C., advocated moral behavior and self-control. Ancient Greek texts offered meditations, aphorisms, and maxims on the best ways to live. During the Early Middle Ages, Middle Ages, and Renaissance, Mirror-of-Princes books told stories of kings whose behavior should be imitated or avoided. These were similar to today’s inspirational stories, like the “Chicken Soup for the Soul” series, except they also included cautionary tales. Self-betterment literature took a great leap forward after 1455, when Gutenberg made mass printing cheaper and available for wider distribution. Suddenly, anyone could write down their prescriptions for the best way to live. In the 1800s people voraciously consumed advice on weight-loss, parenting, marriage, time management, home management, etiquette, success, self-control, mind power, grief, self-medicine; no psychological subject was considered too challenging for the lay person to apprehend. Periodicals published articles with titles like, “I Had Appendicitis and Cured it Myself.” When Samuel Smiles’ Self-Help — a collection of inspirational stories about hard working men rising through the ranks —appeared in 1859, the same year Darwin’s Origin of the Species was published, the only book it didn’t outsell was The Bible. While there may be plenty of derision for today’s self-help books, they are part of an ever-expanding self-betterment market showing no signs of neglect. Self-help is as popular now as it was in Chesterton’s day, and as an industry it has grown exponentially. Many of the most ancient self help texts are still in print. Sun Zsu’s The Art of War, an ancient Chinese military treatise is popular among American businessmen; Marcus Aurelius’ Meditations is a bestseller in contemporary China. Self-help books created from one culture can be just as popular in another: Wayne Dyer is popular in the Netherlands. The Secret (by the Australian author Rhonda Byrne) is a bestseller in Iran. Despite its ubiquity, it’s hard to say whether or not self-help books really help anyone. There is very little scholarship on the subject. Publishing statistics claim that 80% of self-help book customers are repeat buyers, which could indicate that they are not helping. Some suggest that buyers of self-help books don’t read more than the first twenty pages, if they open them at all. Just the act of buying a self-help book is reported to make someone feel better. Aristotle believed that reading had healing capabilities. While self-help book buyers may not be cured of whatever ails them, feeling better is not to be entirely discounted. People hate their jobs, fail at love, fear getting old, worry about their weight; self-help books address and try to assuage these problems. Life hurts, and the promise that self-help books make is a relief of that hurt. The collapse of certain other systems of beliefs, systems which once provided guidance and meaning, allowed self-help to become even more valuable. Self-help can provide a sense of community for those who are lonely; but it can also isolate them further. Self-help provides a language with which to discuss private and difficult problems; but sometimes that language slips into a meaningless discourse. It’s a world full of charlatans and good people, one where it’s not always easy to separate the dross from the gold. An NYC subway ad for the Marble Collegiate Church, where self-help author Norman Vincent Peale once preached, explains the basic anxiety that fuels this mammoth industry: “Life doesn’t come with an instruction manual.” Our rational selves know this instruction manual doesn’t exist, but our aspirational selves will keep seeking to buy one. 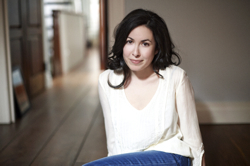 Jessica Lamb-Shapiro’s is the author of the book, “Promise Land: A Journey Through America’s Euphoric, Soul-Sucking, Emancipating, Hornswoggling, and Irrepressible Self-Help Culture,” to be published in the United States in January by Simon & Schuster. Read an excerpt here.